My darling fan is not a Regency fan even though the Asian theme was common during the Regency Period. This fashion was called Chinoiserie (pronounced [ʃinwazʁi], derived from the French word Chinois, meaning “Chinese”) which is the European interpretation and imitation of Chinese and East Asian artistic traditions, especially in the decorative arts, garden design, architecture, literature, theater, and musical performances especially in the 18th century. So, it was very popular during Jane Austen times. However, I believe this is a Japanese motif. No matter. The point is this beauty is mine. But more than embellish my Regency outfits it also keeps beautiful memories close to my heart. My father is no longer among us but his memory is so very strong he never leaves my thoughts for very long. Who can claim they have a father that reminds you of Mr. Darcy? Well, I can. 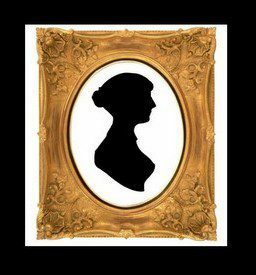 He was a man not without faults but with so many laudable qualities that Darcy and other gentlemen from the Jane Austen world possess. Among other things, he wrote my mother countless love letters. I had the opportunity to read them, touch them and feel the love he had for her. What an amazing experience. I’m really blessed – even though that made it much harder for me to find “the one”! Who could measure up to someone like that? His devotion to her during all their life together could be witnessed daily, along with bursts of temper and heated discussions that I believe Darcy & Lizzy also had – given a certain display at the Hunsford Parsonage during an ill-fated proposal. I got the next best thing since my husband wrote me many, many lovely emails during his courtship. I say his because it took me a while to become interested. “I was in the middle before I knew that I had begun.” So here it is my lovely readers – the story of my fan. Thanks for reading. I hope you enjoy and share your thoughts and stories with me. What a beautiful story, and how lovely to have such wonderful memories of your dad to cherish!